NPQ reported last November that the intimately scaled, single-ring-style Big Apple Circus voluntarily petitioned for Chapter 11 relief. It was announced this past Tuesday that the United States Bankruptcy Court for the Southern District of New York approved a decision by the circus’s board to accept a $1.3 million bid at the court-ordered auction on February 7th. 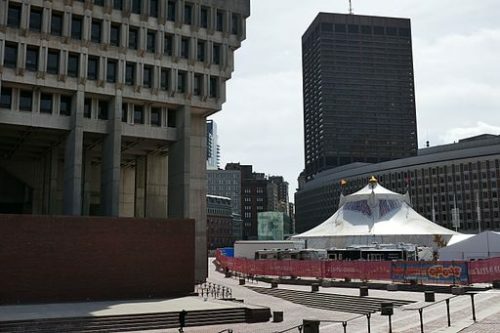 Big Top Works, an affiliate of Compass Partners LLC, a Sarasota-based merchant banking and advisory firm, is the new owner of the Big Apple Circus. The asset auction sale was for Big Apple Circus’s name, other intellectual property and most of the circus equipment. The law firm Debevoise & Plimpton provided pro bono service for the circus’s bankruptcy case. Founded in 1977 by Paul Binder and Michael Christensen, Big Apple Circus hopes to begin its 40th season by returning to its longtime home at Lincoln Center for the Performing Arts this fall. Big Top Works happily accepted the requirement that the winning bidder maintain the circus’s mission and vision in New York City and on tour, particularly its commitment to producing special performances for children with autism or disabilities and for low-income families. Neil Kahanovitz, a partner at Big Top Works, is a former circus performer. The Big Apple Circus is not alone in its struggles to stay alive. Ringling Bros. and Barnum & Bailey Circus is the U.S. traveling circus billed as “The Greatest Show on Earth.” Citing changing public tastes in entertainment, declining attendance, and high operating costs, the circus company announced its intent to close in May 2017 after 146 years of performances. Years of protest from animal-rights groups compelled the company to discontinue featuring elephants in 2016, and that was the beginning of their end. Unless your cause is meeting a need that is breaking news, like an earthquake, most people, especially major donors, give to successful organizations offering philanthropic opportunity, not need. This is one reason why, something NPQ follows closely, mega-gifts consistently go to educational institutions and to people’s own foundations. A particular weakness of crowdfunding is that your donors will likely give what appears to be a standard gift to the cause, not a donation in proportion to their individual giving capacity. Emergency fundraising appeals are only about the money, not your vision. Crisis appeals signal even more than need; they can indicate to donors, rightly or wrongly, poor long-term management and a lack of support from others, including peers. The “ask” needs to come at the very end of a long and deliberate process of engaging friends and donors in your cause. These conversations encourage trust, they educate, and they show respect for your donors. Giving needs to be about helping your donors achieve their personal fulfillment by giving to your cause.